So I was bound & determined to recreate the loose meat sandwiches that I remembered from my childhood. Had to reach out to my people from old hometown & looked around the web quite a bit (wow, the recipes I found were vastly different & midwest folks get damn serious about their loose meat talk). Needless to say, kinda took from each recipe & made them my own – that is the way it goes when experimenting. You’ll need to try this one out & let me know if this lives up to Dairy Den loose meats from Missouri Valley, IA – that is if you’ve ever been to MV in the 70’s – 80’s. Brown the beef in skillet (beef can be a bit pink as will cook in crock) – breaking up the beef. 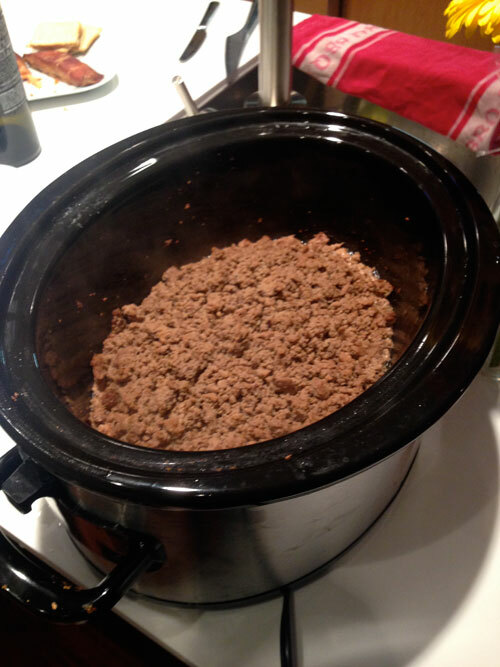 Drain beef mostly – you can keep a bit of the fat/water (about 1/4 cup) & then put beef in crock pot. Add dry mustard, vinegar, broth, salt & pepper – stir up. Set crock on LOW for 6hrs. If possible, turn on HI the last hour to cook off liquid. If there is a bunch of liquid left in crock, pour out. There is a certain way to serve this. Do not stray from what I tell you here dammit! 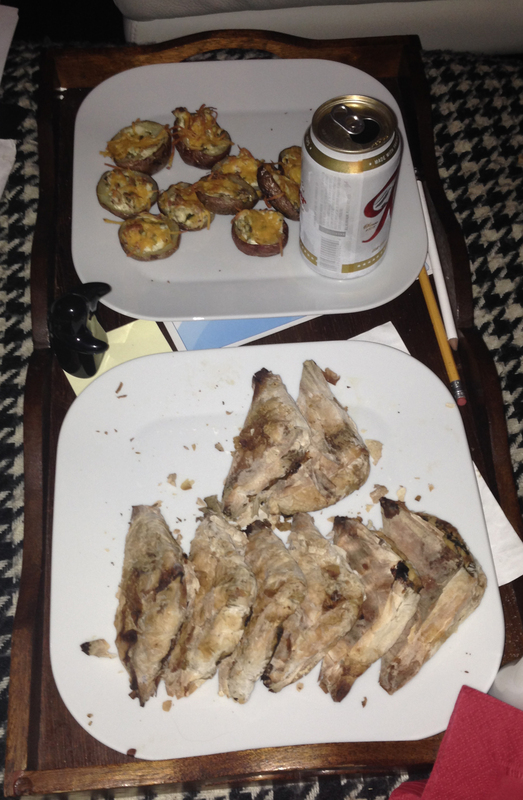 Was blessed with fantastic Super Bowl guests that were very interested in eating dish as I remembered. 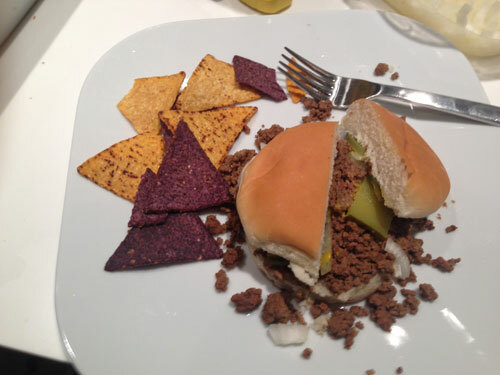 Plain hamburger bun, add loose meat, top with raw diced onions & sliced pickles. Add as much mustard as needed – that is it. Enjoy. I stand behind my loose meat recipe & will fight to the death (or at least heated discussion) that this is the best loose meat next to the real thing!